Do you know deep in your heart that you are being called to be, do, and have big things in this life but some how feel stuck in the process of getting it? Do you deeply feel that your passion is your purpose in life and know deep in your heart you could have it if only you had the right guidance? Are you interested in calling in more into your life but confused about the whole “manifestation thing” and don’t know how or where to start? Are you finally ready to let go of the resistance and finally transform the reality around you so that it matches the vision you have for your life? Back when I first started my online business I craved something exciting and better for my life. In my heart I knew that I was meant to make a difference- to go big. I felt the potential within me to create waves in the world. Most importantly I felt a calling I couldn't ignore. Only when I got started with my work I couldn't get myself to make the leaps I envisioned. Not only did I feel like I was moving in slow motion but I felt lost in the whole process. This led to many sleepless nights. And sadly, it made me feel unsuitable for my work. I felt that since it wasn't coming to me easily then it was because it just wasn't meant to be. And maybe my calling was wrong and I should just give up. BUT OH EM GEE I WAS FREAKING WRONG. The above is the result of unguided energy and an untrained mind. I stopped at nothing to figure out why living an insanely prosperous life was working for others and not me. I went to the events. And most importantly I tried it all myself. And within that search I found a better way. A way that felt easier. A way that soothed away the resistance. A way that bursted me into excitement and action into getting to where I wanted to be. A way that felt like magic when the right people, the perfect situations, and unbelievable events presented themselves in my life. A way that GENETICALLY changed me. There's not a program out in the world that is quite like what I do. And I say that with complete confidence. And although legally I am not allowed to guarantee results I am allowed to say that every soul I have worked with has experienced a complete PARADIGM SHIFT. Honestly most information out there regarding manifestation and goal setting to bring about your dreams is not completely practical which is why it hasn't been working. I am here to simplify this whole confusing process for you. Because anyone can learn information but few can break the apart and slim it down into small easy-to-apply steps that have to power to create a quantum shift in your life if you allow it. I am here to guide you to understand your true power and worth that has been dormant in your body. The power and worth you were blessed with since before you were born but never really knew how to access. It'll hardly be unusual for you to be writing down your goals and dreams one day only to have them become your waking reality a few weeks later. Pivotal moments where it all just seems to make sense and you feel like you're in the flow and grace of your journey will become the norm. Your default feeling: high-level confidence and excitement. Admiration from your peers and those around you will happen on the regular because you'll because your leaps will not be ignored. And oh yes, the money thing. When happiness + excitement mix with taking dreams to the next level, abundance flow is a side-effect. Practice powerful techniques to create a paradigm shift that will skyrocket your confidence and give you an inner knowing of what’s possible for you. 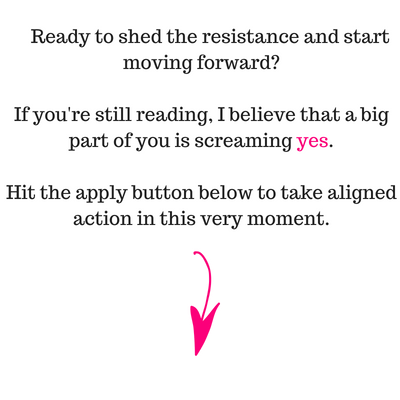 Map out your vision for insane clarity and create a step-by-step alignment plan to get you to more effortlessly embody that stunning reality you deserve to create. Redesign the memories that are hindering your progress and open your consciousness to receive all that you can imagine for your life and more. Raise your vibe to get you to place where you literally get to choose the reality you want! Resulting in the freedom to be, do, and have whatever you desire. When you make a conscious choice and take appropriate action your life has the power to change quickly. This isn't just about manifesting what you want- this is ALL about transforming yourself holistically. The time to do this work is NOW- in the magic of the present moment. The time to heal is also NOW. And there's no better time to live freely on your own terms doing what you love than NOW.